You've got your Halloween costume all prepped and ready. It's a crop top with a folk art print and a coordinated tasseled and layered woven skirt. You've been growing out your long, curly black hair and have been practicing walking around barefoot (to build up callouses). You even have a perfect flower to tuck into your locks. Yes! You are Moana! Or...are you? Suddenly, you start to panic. How will people really know I'm Moana, and not just some hula girl? How can I make my Moana costume even better? Rest easy, dear. 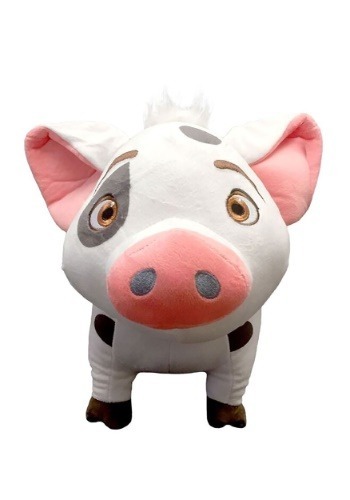 By carrying this Pua Pig Moana Pillow Buddy along with you, you will ensure that everyone knows you as the rightful chief and fearless explorer you really are. 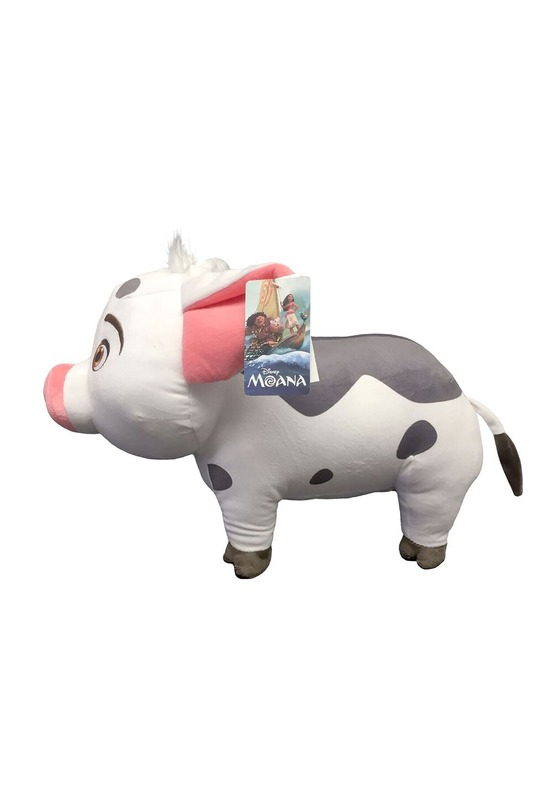 This little plush toy is officially licensed by Disney, making it the perfect sidekick for your Moana costume. Everyone loves Pua's puppy-like behavior and sweet face, and this super-soft stuffed animal captures his character perfectly. Pink ears and a pink snout look lovable against Pua's signature spots. You'll love the authenticity this pillow buddy lends your look, plus, you have a cute pal to snuggle up with on the couch when you get home. Now, doesn't your Moana costume feel more complete? You can pick up a Hei Hei pillow and tote one friend under each arm, or just enjoy snuggling up with your fave little companion, Pua!